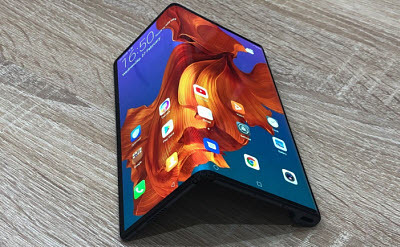 Amazedy by Huawei's foldable Mate X, my overriding concern about foldables is that the video put on the phone will be distorted as the phone opens and folds. How to convert videos to Huawei Mate X perfectly? Wanna convert video to Huawei Mate X or other mobile devices? Congratulations, you go to the right place. Except for Sansumg Galaxy Fold, the hottest foldable mobile phone now is Huawei Mate X which comes with an 8-inch wraparound LED display with folded thickness of a mere 11mm, and 5G connectivity, a 4,500mAh fast-charging dual battery, Huawei’s in-house Kirin 980 processor, and an 8GB RAM/512GB storage variant. To those people who often watch video on handset, Huawei Mate X is a good choice. The only question they need to concern is how to make their video files compatible with Huawei Mate X. It is known to all that the supported video/audio formats for Huawei Mate X are very limited. Huawei Mate X as well as ealier Mate 10 only support playing video formatted by 3GP, MP4, WMV, RM, RMVB and ASF. And the supported audio formats include MP3, 3GP, WMA, OGG, AMR, AAC, FLAC, WAV, MIDI and RA. That is to say, you can't enjoy HD MKV, MOV, MTS, etc format video on Huawei Mate X. The only accessible way is converting video to Huawei Mate X. * convert any format video to 3GP, MP4, WMV, RM, etc for compatible with Huawei Mate X/10. Original quality reserved. * Level-3 hardware acceleration, multi-core CPU utility, and hyper-threading tech offers world's fastest converting speed. * convert 4K, HEVC/H.265, MKV, AVCHD, M2TS, MP4, AVI, WMV, MOV, VOB, etc to any HD/SD video/audio format on Mac/Win. * decode any video to 420+ Apple devices, Android devices, media players or editing software. For example, Huawei Mate X/10/10 Pro, Google New Nexus 7, HTC M10, Samsung Galaxy S9/Fold, iPhone Xs/XR/X/8, iPad Air 2, Apple TV 4, iTunes, iMovies, etc. * download online videos free for playing on Huawei Mate X from 1000+ online sites including Facebook, Yahoo, Dailymotion, Vimeo, Vevo, Metacafe, Myspace and many more. Free download Windows version (Win 10 supported) if you are a Windows user. Step 1: Fire up this video converter for Mac/Win and click Video on the main interface. Click "+Video" button to import video that you want to convert to Mate X. Or just simply drag and drop video file to the main interface. Batch conversion is supported. Step 2: From the bottom Target Format toolbar, select 3GP, MP4, WMV or RM as the output video format for smoothly playing on Huawei Mate X/10. Alternatively, you can click Device and directly choose Huawei Mate X/10. There are ready presets for popular mobiles without further tweaks. Below the video info bar you can see the editing buttons. This Huawei Mate 10 video converter can help users to freely merge, trim, cut, rotate, add watermark/subtitles, crop, adjust aspect ratio/frame rate/resolution, etc. Furthermore, you can find more editing features from the ToolBox option on the Target Format toolbar like stablization, denoise, fisheye removal, etc. Step 3: Specify an output folder to save the converted video file by tapping "Browse" button. Step 4: Hit "RUN" button to start to convert video to Huawei Mate X/10 (Pro). You are allowed to cancel the conversion task at any time and the conversion speed largely depends on your computer hardware configuration.